First of all, thanks to the thoughtful local resident who nominated me for the Pride of NZ Award. Does this make me a real Kiwi now? It is nice to be recognized for consistent and determined work to make our community healthier and more resilient to economic and environmental volatility. Second, thanks to all of the organizations, businesses and individuals with whom we have partnered over the years. 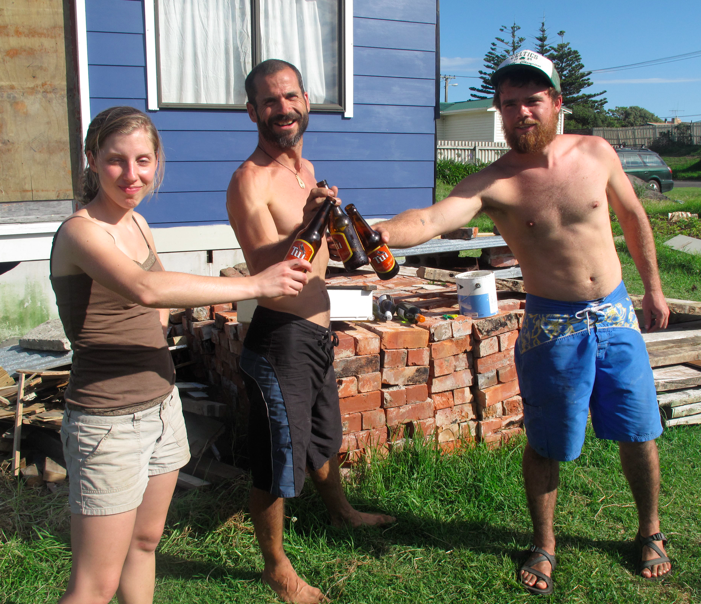 Nearly every community project that my wife Dani and I have embarked upon in Whanganui has been a joint effort with others. For example, our latest partnership was with the Whanganui Learning Centre and Castlecliff School. 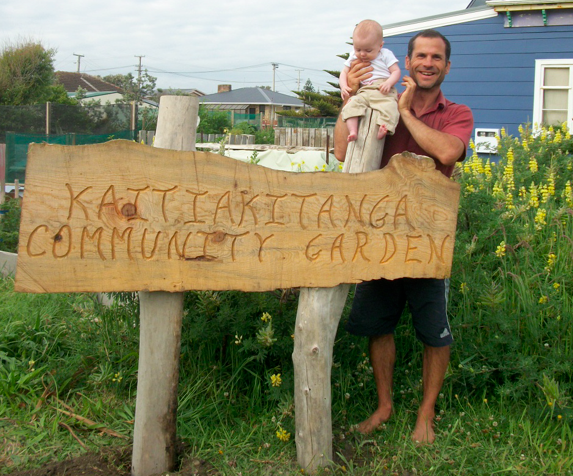 The project was an innovative whanau-focused learning initiative all about growing healthy veges in the challenging conditions of a seaside suburb (“with a holiday lifestyle” as the sign says). 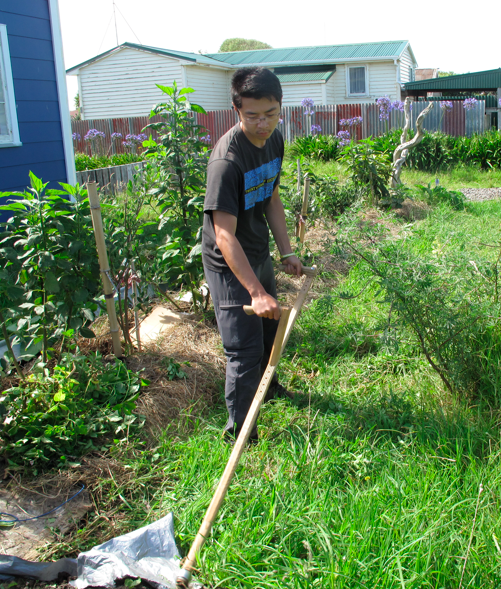 The project will be featured in a documentary film about school gardens in New Zealand. Materials for the school gardens were kindly donated by Wanganui Garden Centre and Loaders Landscape Supplies. Both of these local businesses have also supported previous initiatives, such as the community garden on our front lawn. Thank you. Probably our most successful partnership to date is Project HEAT (Home Energy Awareness Training). Project HEAT was initiated in 2013, and is roughly modeled on the Eco Design Advisor programme offered by seven councils around the country. After failing to gain support from the Wanganui District Council, we turned to the community itself. 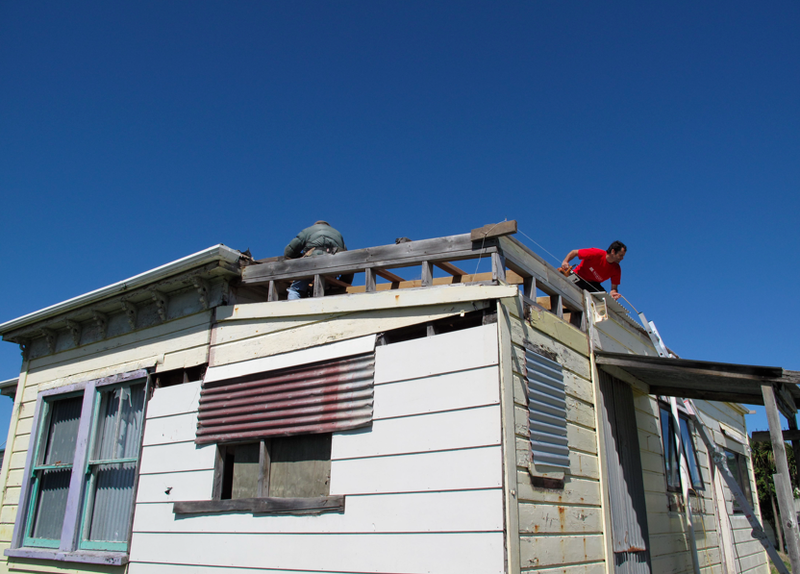 Lots of time and effort went into building a base of nearly 20 local entities that shared our kaupapa: everyone deserves to live in a warm, dry, healthy home. In a cooperative manner, each entity gave what it could give. In some cases that meant donating the use of a venue for a presentation and in others it meant photocopying information sheets or loaning a data projector. In a few cases it meant donating funds to cover the costs associated with running a community outreach education programme. Overall, Project HEAT operated on less than a shoestring. Well over half of the time that I spent on the programme was in volunteer hours. Just as important as the material contributions made by our partners was the moral support they provided. In other words, one does not feel like a “voice in the wilderness” when surrounded by others who believe in and support you. In the sustainability and resilience movements it is our obligation to support all those around us. Together is how we move our waka toward a common goal. After council chose not to support Project HEAT, it would have died a quiet death were it not for a casual conversation with a friend and his show of support. This year Project HEAT has been back on a lesser scale due to a number of factors. However, our partners deserve recognition for their help and support now that we are easing into the backside of winter. 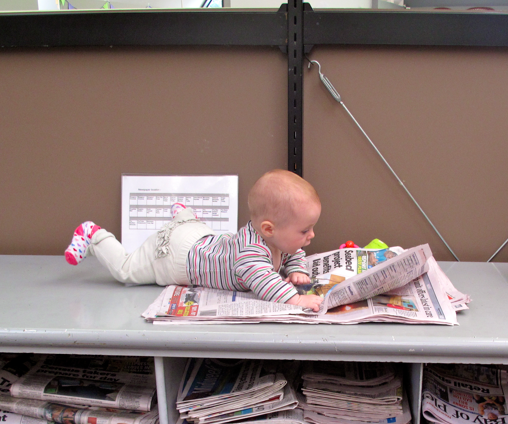 Yes, there are lots of awesome organizations and businesses in Whanganui contributing to sustainability, and they receive plenty of exposure through our excellent positive-news-based local print media. But today I get to thank our 2014 Project Heat partners because without them there would have been no free series of presentations, workshops, drop-in information sessions, and home energy audits. Big thanks to Tree Life NZ, Sustainable Engineering, Black Pine Architects, Richard Collins, Progress Castlecliff, the Josephite Retreat Centre, and other anonymous donors. Also to be recognized are the Chronicle, Midweek and River City Press for helping publicize the 2014 programme. In the weeks and months to come, our family will be going through some changes that will affect our ability to engage with the Whanganui community as much as we have in the past. Hopefully I will be able to keep up with this column. 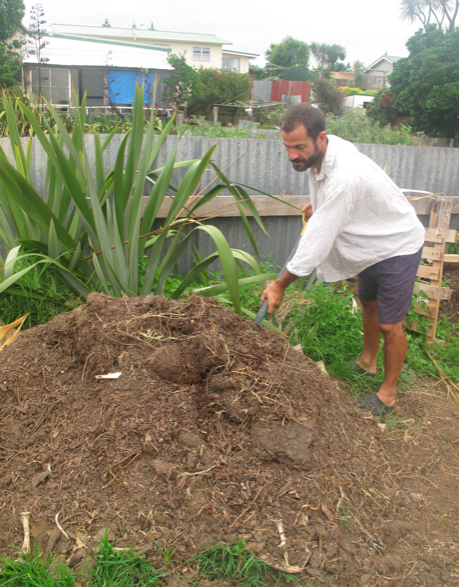 Editor’s note: This document was written over a year ago and submitted to Permaculture in New Zealand (PINZ) to document a two year diploma project in applied permaculture. PINZ has asked me to post it in the public domain. Please note that the links below will take you to our old blog. However, all of those posts have also been re-posted on this blog. A project completed in fulfillment of a diploma in permaculture. 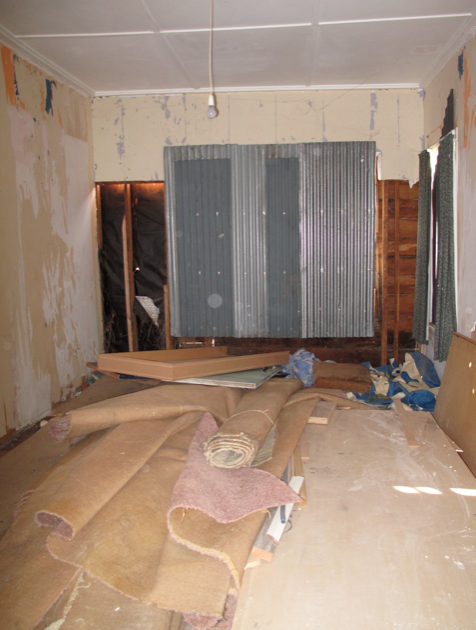 Abstract: The Eco-Thrifty Renovation (ETR) was initiated in November, 2010 and continues to be ongoing. The project aims to demonstrate that an eco-home and organic food need not be prohibitively expensive. Over the course of two years, I transformed a derelict villa into a warm, dry, low-energy home, and a section full of weeds and rubbish into a thriving foodscape. At the same time, the project has been used as an educational outreach programme for our local Whanganui community and the world through the internet. The entire project was carried out in alignment with permaculture ethics and principles. *Note: I use the term ‘we’ often in this document to honor Dani’s contribution to this project, which was less about time and effort, and more about support. Some of the things I write about below using the term ‘we’ she may know little or nothing about (because I usually have about 8 projects going at once and she has been working 40 hours per week for the last year). Still, I feel the ETR and the ECO School are a team effort. The permaculture ethics have guided the project at all levels as described below. Care for Earth: Low-energy homes and home-grown food can address many of the environmental problems facing the planet and humanity. First and foremost, are the issues surrounding energy, its extraction, production, transport and use. On all levels, this project has demonstrated a commitment to a low-energy ‘footprint.’ Additionally, organic growing practices cut down on artificial chemicals in the environment, and composting and recycling return resources to productive systems rather than relegating them to landfill. Finally, it is hoped that our educational outreach programmes inspire and teach others how to ‘care for the Earth’. Care for People: The main focus of this project is to provide a working model suitable for low- and moderate-income families. There appears to be a broadly accepted misconception that sustainable lifestyles are prohibitively expensive. We have demonstrated that nothing is further from the truth when thoughtful design in included. Many of our educational efforts are provided free of charge and some ask simply for a donation. Other programmes offer a sliding scale, with additional discounts for walking, riding a bicycle, or taking the bus. 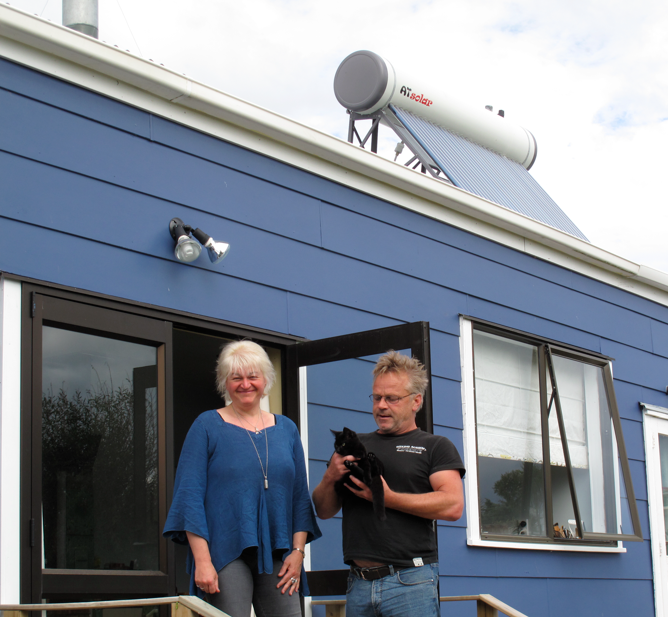 Recent funding allowed us to provide 80 free home energy audits for low-income families and pensioners in Wanganui. 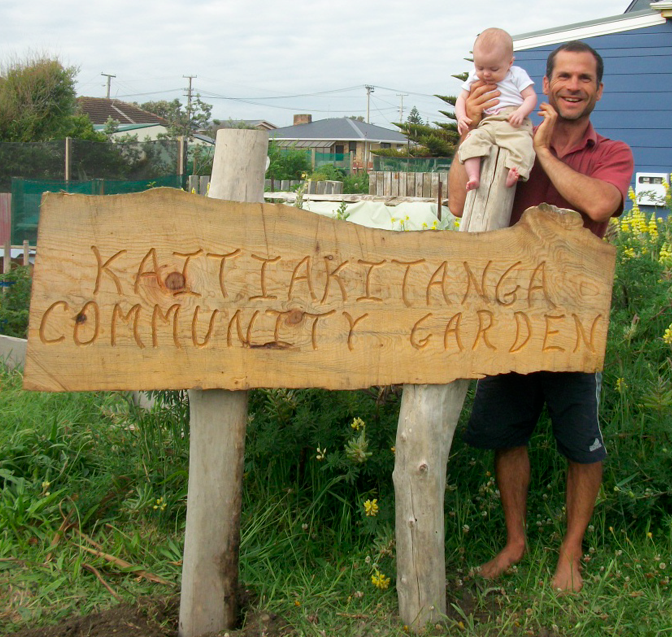 Additionally, a community garden in our front yard feeds families in our low-decile neighbourhood. Share Surpluses: Up until now, the only surpluses have been those of ideas and enthusiasm, which were shared freely through the blog and a weekly newspaper column. Additionally, all of the fee-based education programmes we offer run at about half the price of comparable programmes elsewhere in the country, making them affordable for a wider range of people to participate. And we are finally producing surpluses of food from the community garden in front of our house, which we share with neighbours and friends. Although Holmgren’s (2002) permaculture principles were not intentionally or deliberately used during this project, it is easy to recognize their application across many of its aspects. Instead, I describe what are permaculture ‘habits of mind’ that are engaged automatically when working from a holistic, systems perspective. 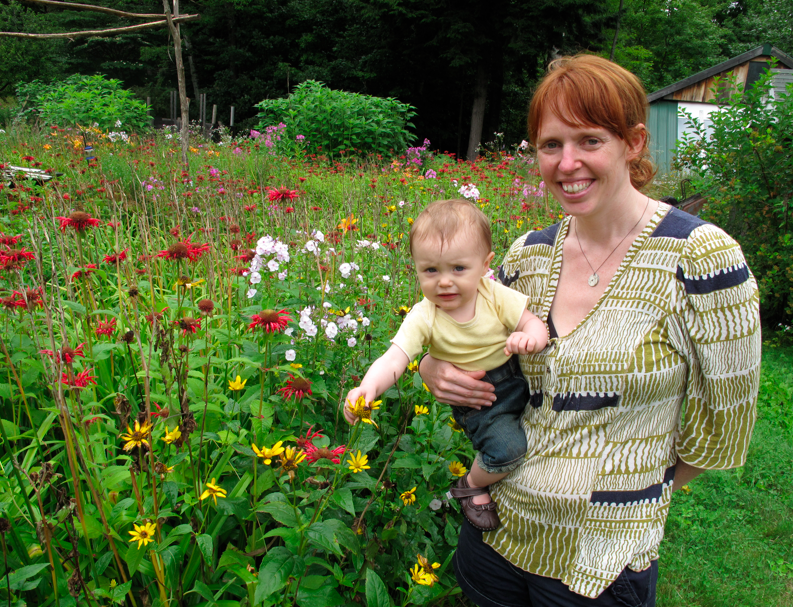 What follows is a discussion of David Bane’s (2012) recent interpretation of Holmgren’s 12 permaculture principles as they relate to the eco-renovation, the foodscaping efforts, and the educational initiatives. 1) Observe and Interact: Even before the ETR project began, observation and interaction were being employed in the design process. 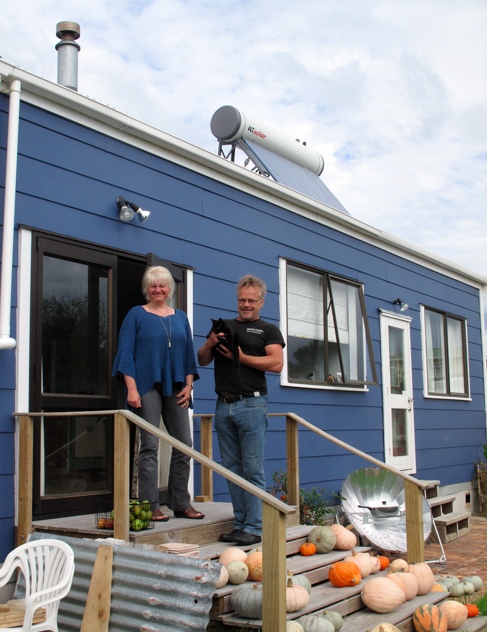 Dani and I looked at 30 homes in Whanganui in 2 days, ruling out 25 of them simply because they had very little potential for passive solar redevelopment. Of the five that had significant potential for solar gain, one also had advantages regarding section size, home placement on the section, and proximity to a bus stop and the beach. 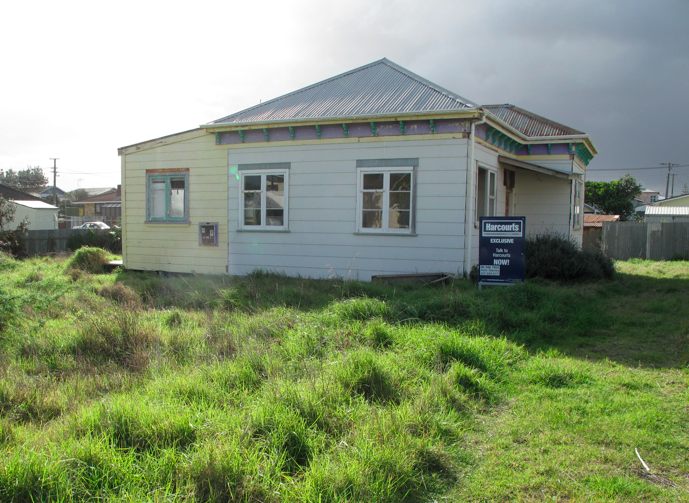 It also happened to be the cheapest house in Whanganui in the lowest-income neighbourhood. This set us up nicely to interact with a low-decile community with which to work directly. The first step in the passive solar design process is to observe where the sun is at different times of the year and to plan for winter heating and summer cooling. Our villa offered a special challenge in that it was not broad-side to the northern sun, but pointing north with one corner, like a compass. Although not ideal, I was able to come up with low-budget / high-performance design and lifestyle strategies to maximize winter morning insolation – when it is needed most. 3) Get a Yield: Obtaining a yield is a natural human expectation for putting forth effort toward a goal. 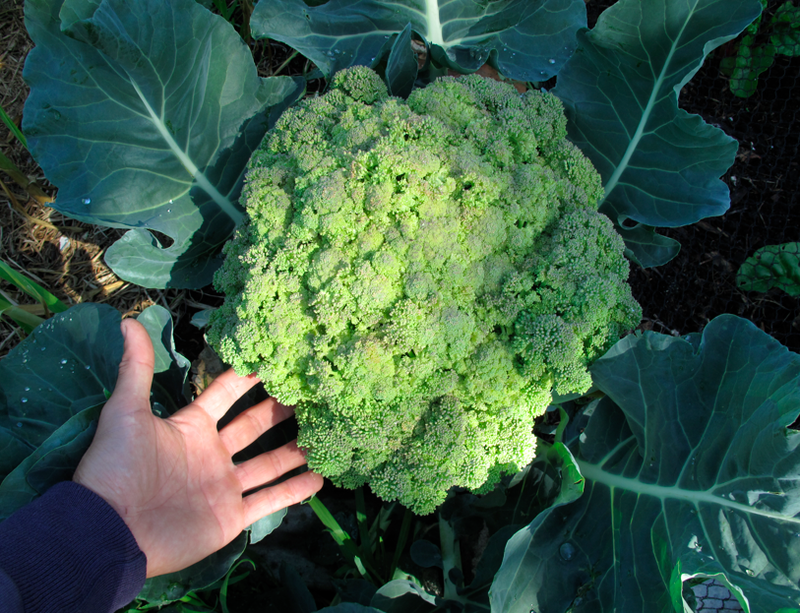 In the gardens, a yield can take the form of abundant, healthy food, as seen in the above post, reposted here along with others. By using a strategic combination of tools, timing and technique, we have been able to produce abundant kai for very few hours of work. Obtaining a yield in an energy-efficient renovation takes the form of a warm, dry home, and cost savings on a power bill. These can be seen as a return on an investment of time and money. Specifically, getting a yield can be understood through the concept of payback period – the amount to time is takes for savings to pay back an investment. I have chosen to emphasize the concept of payback period in an attempt to appeal to a broad swath of the general public who may not necessarily be concerned about the environment, but are interested in lower power bills. 4) Self-Regulate & Accept Feedback: Most learning processes involve both positive and negative feedback loops. During this project, I have experienced many feedback loops, primarily involving growing food in a coastal zone and involving the educational projects we have launched from the platform of the ETR. Regarding the learning involved in our community education projects, woah! 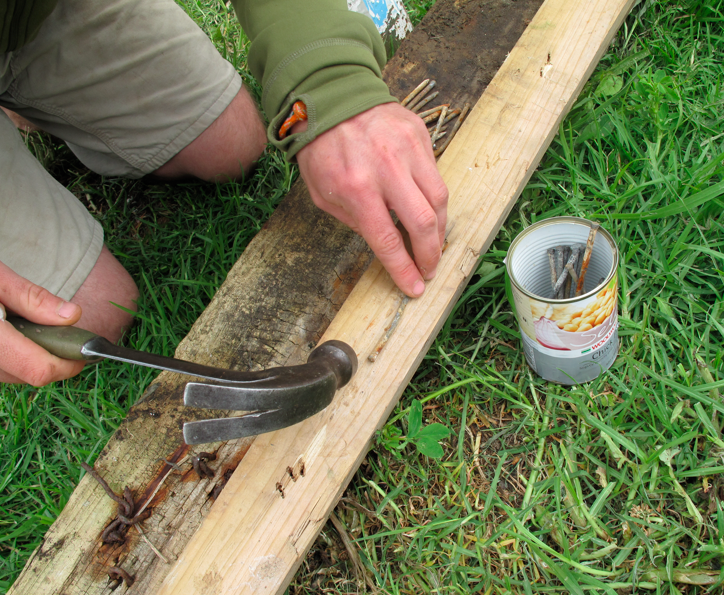 Previously I have been a classroom teacher that dabbled in garden workshops for adults. 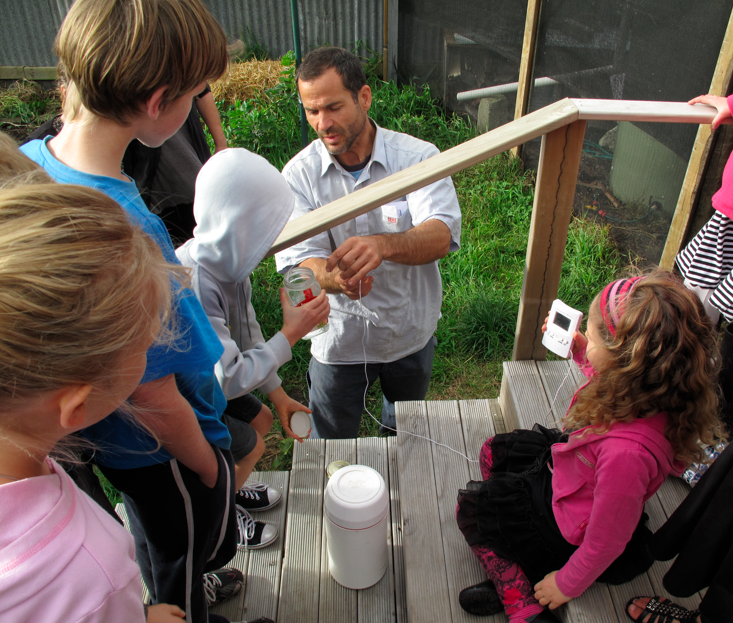 But I have never done anything like a whole community approach to sustainability education. An overview of this approach is described in these posts, while some more details are included below. We have experienced varying levels of success with our different educational initiatives. Because we’ve taken an ecological model to education, we can accept high failure rates without being fussed about it. Nothing ventured, nothing gained. Most people will say they learn more from failures than successes, so why not embrace failure instead of avoiding it? Perhaps 80% of my ideas go nowhere because I cannot find community partners. That just means that a particular idea is not appropriate for this place at this time. OK, shift gears and carry on. Most importantly, I am learning what really works, what does not, and why that might be. The keys, I have found, are to be responsive to needs and not prescriptive, and to build partnerships in all endeavors. 5) Use and Value Nature’s Gifts: Nature’s gifts come in the forms of matter and energy. We accept all nature’s gifts, and try to hold them (slow their flow) on our property with a previously porous home and previously porous soils. These are explained in the principle Catch and Store Energy, above. The best way to value a gift is to steward it mindfully. Some ways we do that are described below. Finally, sometimes, nature delivers free gifts nearly to our doorstep, such as firewood flowing down the Whanganui River and washing up on the shore in front of our home. Additionally, I have collaborated on waste education initiatives in our community, as described here. These provide some background for the amazing result from the NZ Master’s Games described above. 7) Design from Pattern to Details: The patterns of the Earth include day and night, the seasons, climatic patterns (although changing), as well as hydrological, geological, chemical and biological patterns. In a passive solar redesign, we begin with the natural, repeating patterns of the sun and finish with things like: adding glazing to the north and removing it from the south (as described above); and the strategic placement of thermal mass (also described above). On the land, I have mostly designed around wind patterns, making some mistakes and then having to redesign based on the wind-hardiness of different plants. For example, even though all of the literature says that olives and feijoas will stand up to coastal winds, I found that they do need some level of protection. I moved 8 olives and built wind protection for 6 feijoas. I also learned that summer raspberries and persimmon will not tolerate any salt winds. I transplanted the raspberries to a more sheltered position, but the persimmon died due to three weeks of onshore winds right when it was leafing out. 8) Integrate: I see this as an umbrella term over the entire design process, which includes 4-dimensional design, and re-design. In my opinion, this principle represents the concept of systems thinking, or ‘ecological thinking.’ This is reflected in the famous Native American saying, “Everything is connected in a web of life.” It is embodied in the Lakota (“Sioux”) phrase, mitakuye oyasin: all my relations. This represents a worldview that recognizes a relationship to all living and non-living matter in the universe during all of time. I believe this is a permaculture ‘habit of mind’ that can be developed through practice until it is done unconsciously all the time. Because of my learning disabilities, my brain naturally recognizes the space in between objects easier than the individual objects themselves. While the American school system tried to beat this out of me, I was able to retain enough into adulthood to re-awaken this way of seeing, and to cultivate it into a more developed form. In my twenties, I practiced systems thinking exercises (not knowing it was such at the time) that have re-trained my brain to ‘see interconnectedness’ including the 4th dimension. Permaculture is an eco-design system that seeks to recognize and maximize beneficial relationships while minimizing or eliminating harmful relationships. On our section, and beyond our section, we seek to integrate systems of energy and matter, as well as human systems. Socially, we have done well at integrating with some non-greenie groups, such as the softball club, mental health organizations, the regional PHO, and the YMCA, as well as some local Maori groups. 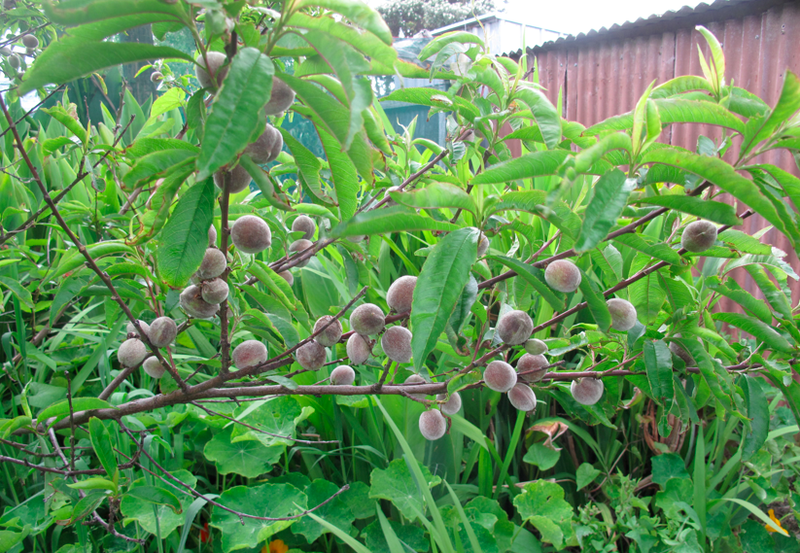 Regarding my PhD thesis, I have spent four and a half years studying the integration of a permaculture approach to science teaching and learning in New Zealand secondary schools. 9) Choose small and slow: I could write on many different topics, but this is the one I think deserves the most attention. 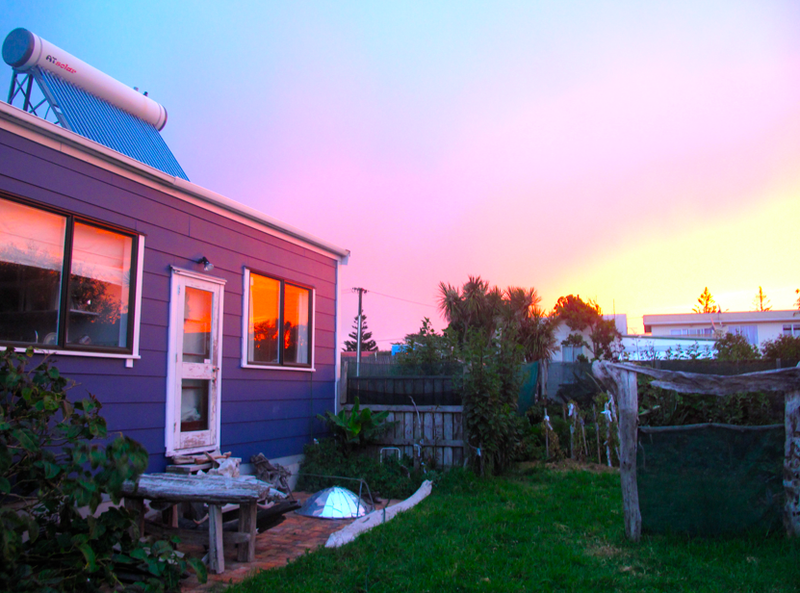 Here is where I can raise an observation I’ve made over my last four and a half years interacting with the permaculture community in New Zealand. Hardly any permies I’ve met (quite a few for a small country) ride bicycles or take public buses instead of driving. I know that everyone has an excuse for this, but I’m not really interested in hearing excuses. I have heard lots over the years. In my opinion, riding a bicycle instead of driving is the single best example of choosing a small and slow solution, especially as it directly addresses the two biggest identified challenges addressed by permaculture: climate change and peak oil (Holmgren, 2009). 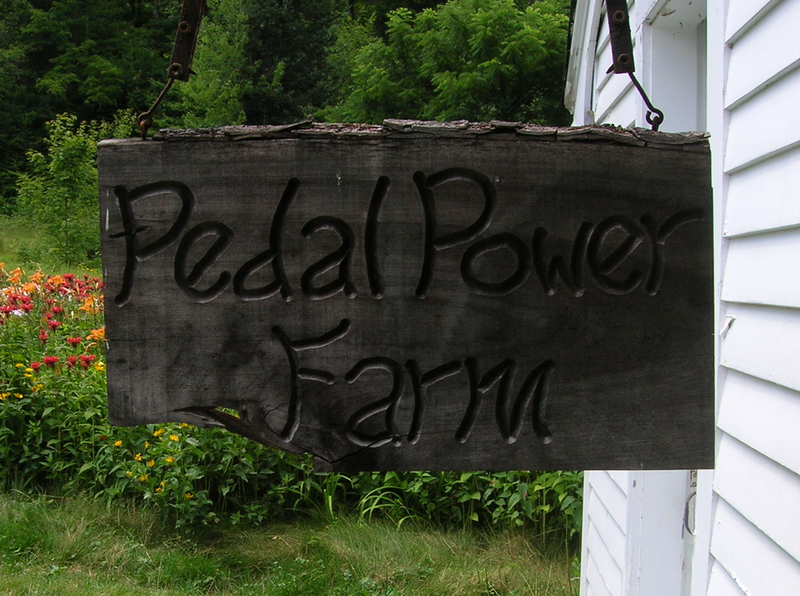 My history with bicycle commuting (over 100 kms at times) goes back over 20 years, and I named my farm – developed over 8 years into one of the most sustainable properties in North America – Pedal Power Farm. 10) Work Diversity: In this project, we have worked diversity in two primary ways: ecological food production; and, a holistic approach to whole community sustainability education. The former has been described above in some of our approaches to designing from patterns to details. We currently have planted 118 edible perennial plant species of many different varieties and cultivars. We always plant multiple varieties of tomatoes, and always have our first ripe ones well before Christmas. 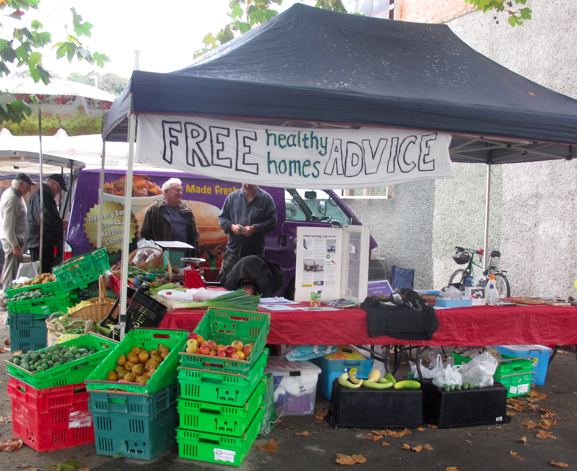 Talking to others around Whanganui, including professional market gardeners, this ‘beat the local market’ by many weeks. We managed this not with a glass house, but by using microclimates and selecting the best varieties to plant at the best time (observe and interact; self-regulate and accept feedback; get a yield). In nature, diversity often leads to stability. I believe our efforts described above will provide a high level of stability (resilience) in our lives. We are likely to have food in the event of a disruption to the food supply, and we are likely to have support from a wide swath of the community if our family falls on hard times or suffers a tragedy. 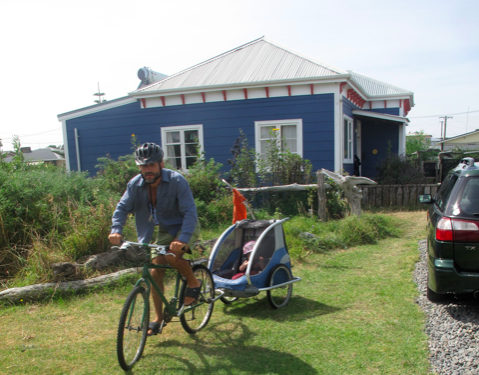 In three years we have been lucky to be adopted by a large and divers whanau in Whanganui. 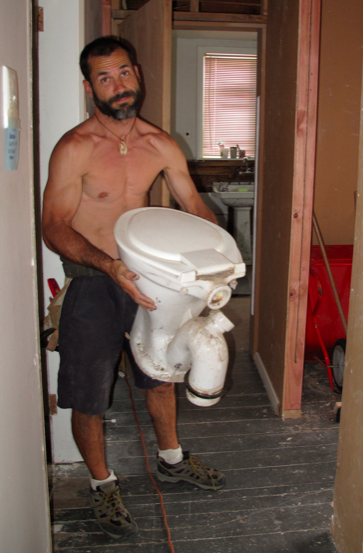 11)Push the Edge: How about taking a crappy, old villa and turning it into a warm, dry, low-energy home? How about power bills averaging $22/month, including a line charge of $13? How about 118 edible perennials on 900 square metres? But these things are secondary to what is really significant about this project. In terms of making a unique contribution to the global body of permaculture knowledge, the education efforts in our community are by far the most significant. We are pushing the edge by developing a new model for community sustainability education as described multiple times above. Nowhere in the world that I am aware of is anyone taking this type of approach, especially with no initial funding source and only modest ongoing donations from local individuals and organizations. The only way to push the edge is to take risks and accept failure. I’ve done both many times over the last three years, but the learning is worth it. Be warned, however, that when you push the edge publicly as we have, you’ll get blowback from the left and the right. That’s no problem, as we’ve received amazing feedback from the middle, where the vast majority of people reside, and where I think permaculture has largely failed to make inroads. Ha, it just occurred to me that we are pushing the edge by going to the centre. Beautiful! 12) Respond to Change: This principle gets to the heart of dynamic design and what I call ‘four dimensional design.’ We employ this principle in a number of ways, including: window treatments; annual vege production; and, refining our approach to community education. As described above, we use a combination of pelmets, thermal curtains, and window blankets as part of our holistic strategy for reducing heat loss through windows in winter. But we also use them to prevent heat gain in summer. In both cases, change is represented by day/night cycles of sunshine and temperature fluctuation. On a winter’s morning, all curtains are drawn and window blankets are in place. With the sunrise, I open the curtain and remove the window blanket on one double-glazed window (northeast-facing) beside the breakfast table. Later, when the sun has risen more and the outdoor temperature probe that receives direct sunlight reads higher than the indoor probe in the lounge, I open the lounge curtains (also northeast-facing). At around 11 am, I then open the northwest-facing curtains. At about 2 pm, I close the northeast-facing curtains. At sunset I close all curtains and replace the window blankets. In the summer we can reverse the pattern, as well as open windows to encourage cross-ventilation. Regarding low-input / high-productivity methods for annual vegetable production, it is all about tools, timing and technique. 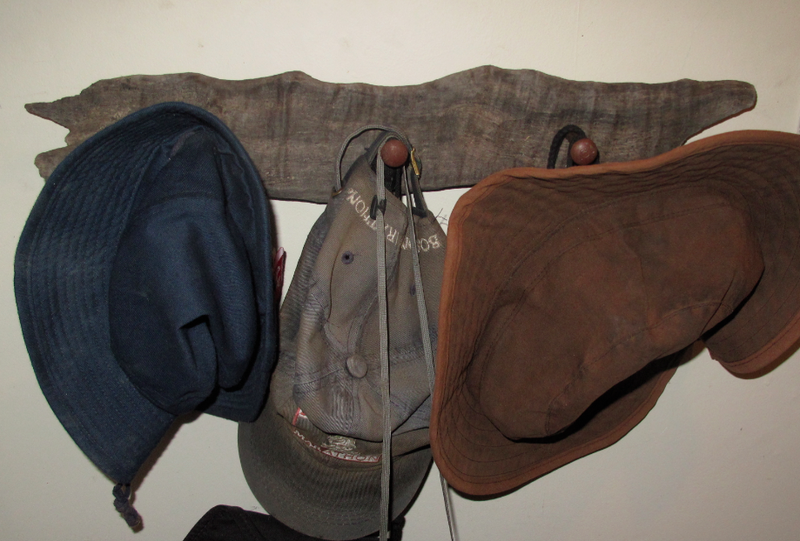 These would be familiar to any small-scale market gardener worth his or her stirrup hoe. I have developed a decade of experience and learning into a design/management system that I use and have presented as a workshop in New Zealand and Australia. The system relies on designing and managing for weed control, and getting multiple other benefits along the way. In my travels around the world as well as my reading, learning, attending workshops, etc., I have never come across a better system for low input (time, effort and money) and high productivity. If I had, I would be using it. Finally, as described above, our ecological model for whole community sustainability education is holistic, cooperative, and adaptive. Regarding its adaptability, it is open to self-regulation and feedback to improve and expand. For example, I approached the local primary school (low decile) to offer my services to help integrate sustainability across the curriculum. I met with the teachers at a staff meeting where they all showed great enthusiasm and said all the right things. I went home excited but then waited a month to hear that the teachers had decided that they needed to focus more on behaviour education and would not have time for sustainability education. My heart sank. Then I changed my approach. While the permaculture ethics and principles were not overtly used during the ETR, I hope that I have made it clear that those permaculture ‘habits of mind’ embodied in the principles and ethics were used at every step. Thank you for reading, and I hope you have found it helpful. Bane, P. (2012). The permaculture handbook. Gabriola Island, BC, Canada: New Society. Holmgren, D. (2002). Permaculture: Principles and pathways beyond sustainability. Hepburn, Victoria, Australia: Holmgren Design Services. Holmgren, D. (2009). Future scenarios: How communities can adapt to peak oil and climate change. 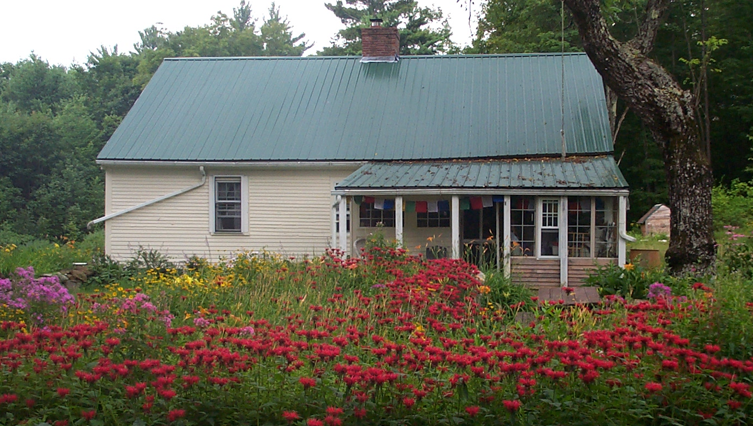 White River Junction, VT., USA: Chelsea Green. The internet has been a great way for us to share our experiences with readers across the world and to maintain friendships over oceans and continents. 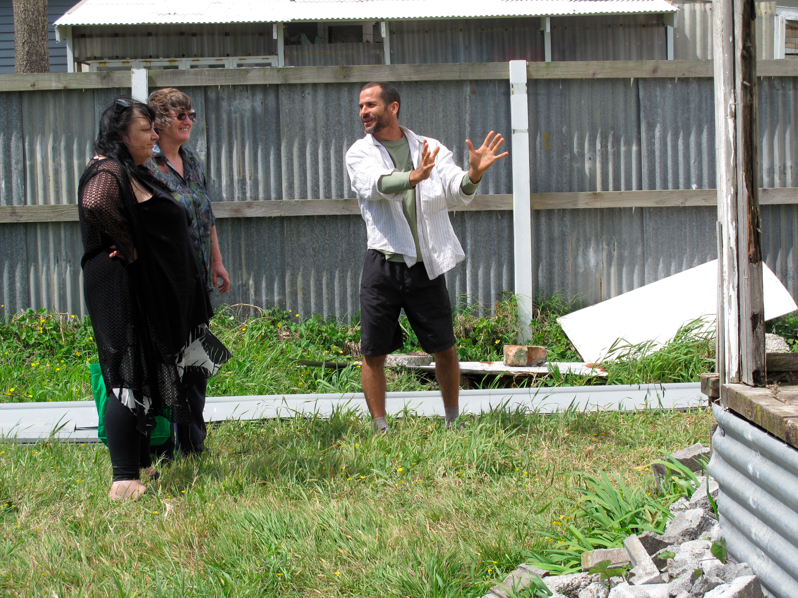 I have been reading The Automatic Earth for years, and almost exactly two years ago Nicole Foss and Raul Ilagi Meijer gave a presentation here in Whanganui and stayed with us in our home. But not all is black out there. 10 days ago, our Kiwi friend Nelson Lebo (Nicole and I stayed with him and his wonderful little family for a few days 2 years ago) sent me this article he wrote for the Wanganui Chronicle. Some people answer the question “What Do We Want To Grow Into?” simply by being it in their daily lives. They live the answer. My position is that more people are receptive to messages of saving money than “saving the planet”, and that in many cases both are possible by designing win-win situations. For example, I graduated from University in 1990 with student loans and without a car. Some unexplained thrifty gene in my DNA told me to forgo buying a car until I had paid off my loans. In other words, don’t take on more debt until you’ve paid off the existing debt. That experience was faster and less painful than I expected, so I carried on living car-free for seven more years before buying my brother’s old ute for $500. I continued bicycling and taking public transit for most of my transport needs but drove about twice each month until early 2000. At that point, after living nearly car-free for over a decade I had saved enough money to buy a small farm…on a teacher’s salary. To clarify, this was by no means a flash farm, and I did work every school holiday for most of those years to earn and save more money. On 1st June 2000 I took title of 38 acres and a 214 year-old farmhouse. I called it Pedal Power Farm. Over the next eight years I used eco-thrifty thinking and lots of blood, sweat and tears to renovate the farmhouse, build a post and beam barn by hand, and improve soil fertility. In 2008 – at the start of the housing crisis in America – I sold the farm for nearly twice what I paid. 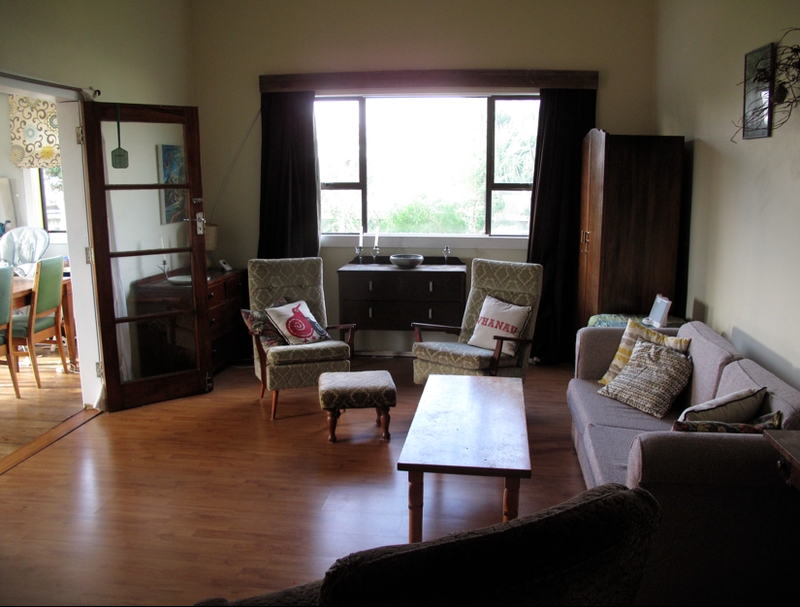 Proceeds of the sale paid for four years of doctoral research at Waikato, a second-hand Subaru wagon, and a fully renovated but once run-down villa in Castlecliff. While car-free living cannot be attributed for all of this, it provided a platform to get out of debt and to get onto the ‘property ladder’ debt-free. Other contributing factors were fiscal conservatism and working my bum off for 18 years. At 45 I am semi-retired with plenty of time to spend with my toddler daughter and to volunteer in the community. If you think about it carefully enough, I suppose you are reading these words in today’s paper because I made a choice 24 years ago to ride a bike. There seems to be a rising level of concern lately of news stories that put Whanganui in a bad light. Of course we all know that there are many groups and individuals working hard to do just the opposite. Among them are Dani and Nelson Lebo of The ECO School (Castlecliff), whose efforts have earned them praise from a wide range of environmentalists and sustainability advocates both near and far. At present, their work is featured in the current issues of three magazines: one domestic and two international. Local writer Helen Frances has penned a fabulous article for New Zealand Lifestyle Block that runs a full eight pages, profiling the couple’s unique philosophy and international perspective. Find one in the shops before the end of the month. 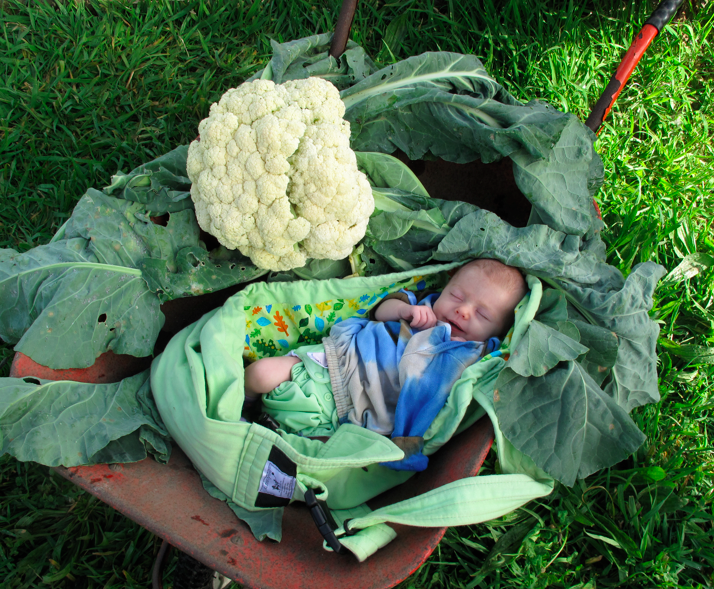 Additionally, Nelson has written a piece for Permaculture (UK), on raising an eco-thrifty baby, using many of Dani’s photographs. 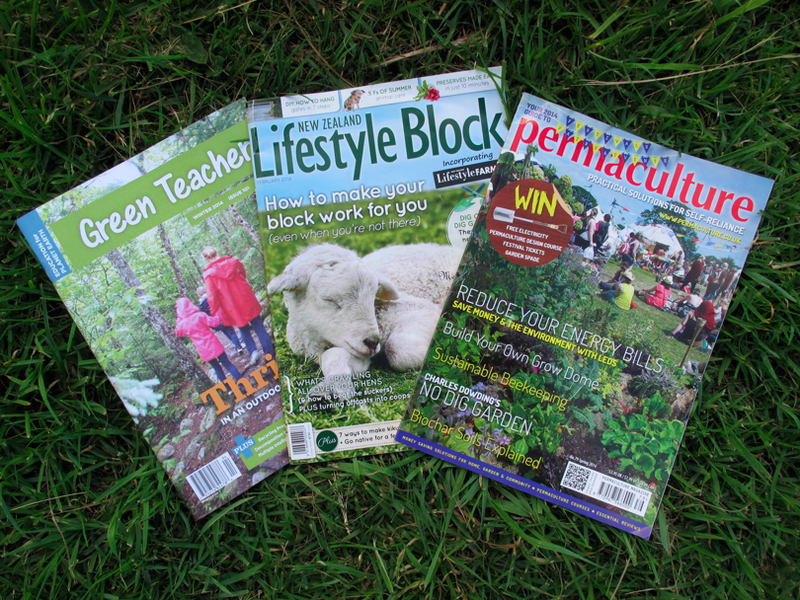 It’s rare for New Zealand projects to feature in this magazine, so this is a particular accomplishment for a Whanganui-based permaculture property. 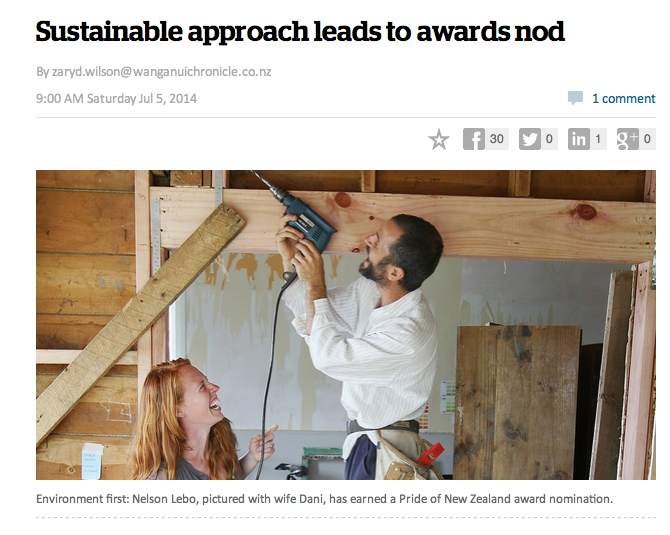 And finally, Nelson also contributed to Green Teacher (Canada), describing an environmental education curriculum he developed based on the couple’s renovation in Castlecliff. 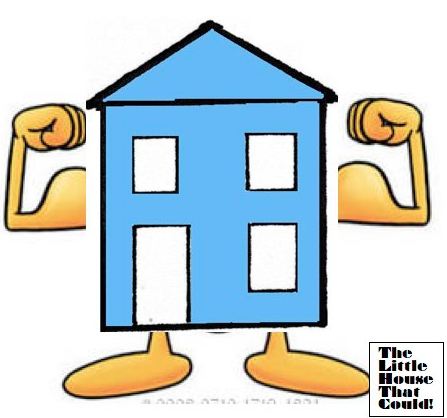 You can find information on the curriculum at The Little House That Could on Facebook. I love our Whanganui coast. I take the short walk from our home to the Tasman Sea nearly every day, sometimes two, three and four times. It has gotten to the point where my wife has accused me of bringing half the coast home with me in the form of sand in my jandals and driftwood over my shoulder. When I walk on the beach with my daughter, Verti, we make a special effort to pick up all of the litter we can find. By 14 months, she could spot a Cody’s can from 20 metres. Way back before she was born, before I started writing this column, and even before our first visit from the building inspector, Dani and I embarked on our first and perhaps best beach clean-up effort. It was Christmas 2010, and a dead goat had washed up on Castlecliff Beach, where it lay sunbathing for two days at the high tide line and three metres outside of the swimming area flags. To make a long story short, we headed to the beach with the wheelbarrow, a tarp, two shovels, and a video camera. We collected the carcass and brought it home to our active compost heap. Within a week it was down to bones, but the video has yet to make it to Youtube. The “goat story”, as it has come to be known, is oft repeated when I am introduced by certain of our friends to certain of their friends. That day over three years ago was the start of my ongoing relationship with our beautiful coastal zone. Since then, the relationship has developed with every walk along the sand, every wave surfed at the North Mole, and every armful of driftwood. In the latter stages of our renovation, driftwood has become more of a design element in our attempt to meld a classic villa with a beach bach in a way that honours both while spoiling neither. Sounds like a job for Terry Lobb, but in my unprofessional hands I think things have turned out fine. 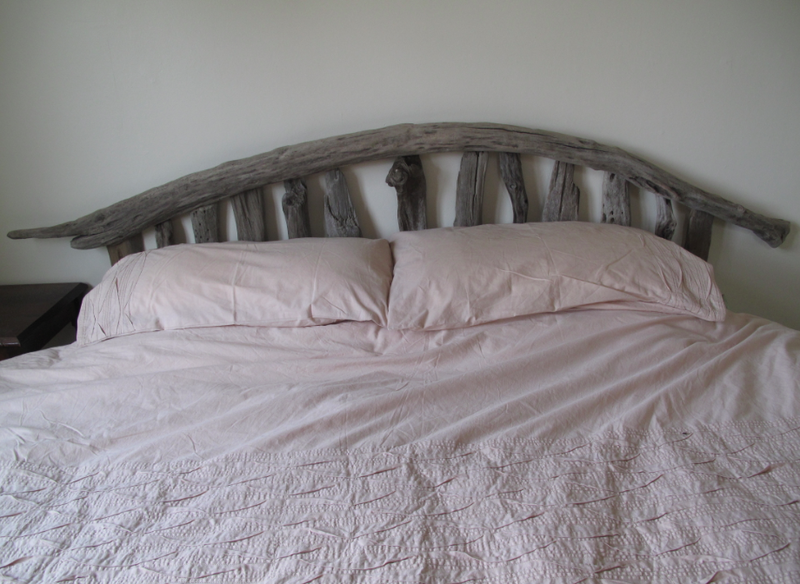 Despite what my wife says, there are still some rooms in our home without driftwood, although that may not be the case much longer after my recent venture into headboard making. 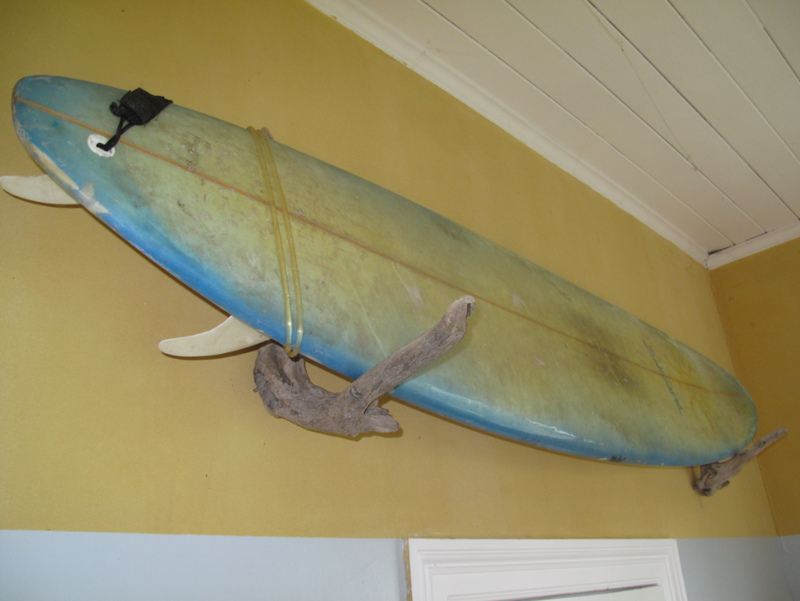 Previous to the headboard, my indoor driftwood projects had been limited to surfboard racks, coat/hat/key racks, children’s toys, artwork, and our Christmas tree. 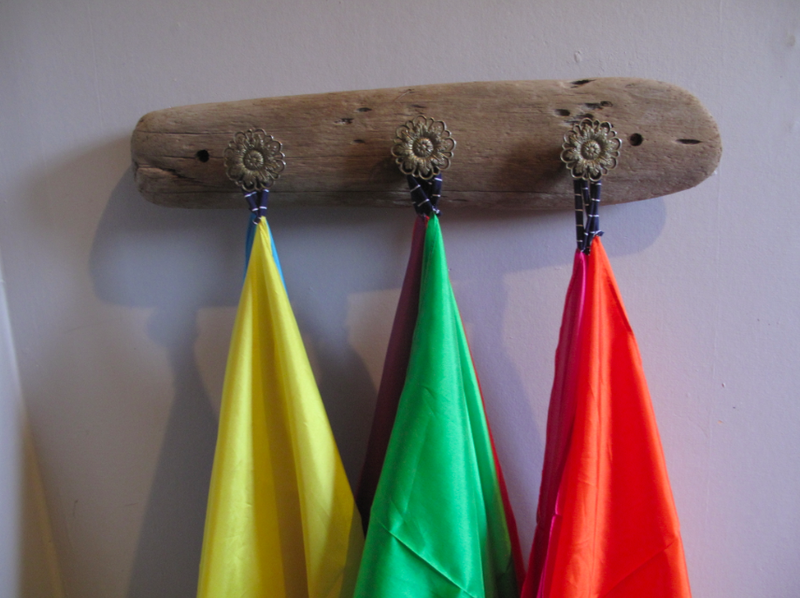 Verti’s play scarves hanging in her room. Outdoor projects are another thing entirely. I’ll get to those another day.